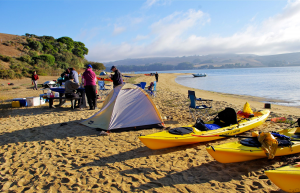 Camping is all about living it up, out in the wilderness. 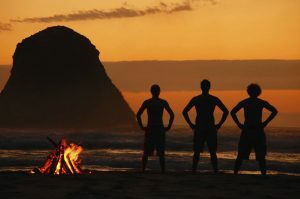 But the conveniences of modernity don’t belong in the great outdoors, and if you do have to go camping, you have to survive – and if you have to spend a night with Mother Nature, you will need the right camping and survival knives. Camping and survival knives come in different shapes and sizes, and are made for different purposes. Large scale blades such as machetes or axes are useful for chopping wood. Smaller blades are useful in most other tasks. The Swiss Army knife is the most common and most useful camping and survival knife. A typical Swiss Army knife will contain a sharp blade, can opener, bottle opener, tweezers, and awl. Take this knife on any camping trip, but clean and oil it regularly. Swiss Army Knives can corrode and dull due to dirt and grime. The camping and survival pocket knife is good for urban use, such as in etching soft surfaces, slicing fruit, and picking out dirt from hard to reach corners. In camping, a pocket knife can be good for light field work if you have to cut off twig or shrub samples for your collection, sift through dead leaves to get to a specimen, skin a rabbit, or gut a fish. The camping and survival pocket knife is also useful for first aid. This camping and survival knife blade can be hidden within the handle, making it a culinary, camping, and defensive weapon. Be careful with handling such blades, and keep them out of reach of children. If you use such camping and survival knives regularly, be sure to sharpen them, as pocket knives are generally not made of high grade steel. You will never know if you need them; and if you do, they should be ready for use. 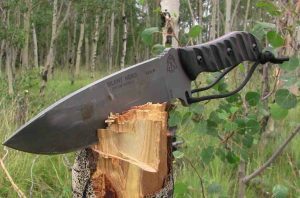 The camping and survival hunting knife, or Bowie knife, is suitable for light to heavy field work. Because bowie knives are made of higher grade metal, they do not corrode, chip, or blunt easily, and they can be used for a wider range of needs. Bowie knives come in handy when digging through dirt, cutting through larger twigs or small branches, or slicing heavier materials such as animal meat. The camping and survival Bowie knife usually has a fixed blade. In some varieties, the knife sheath or handle will contain gadgets such as screws or tweezers, much in the fashion of a Swiss Army knife. 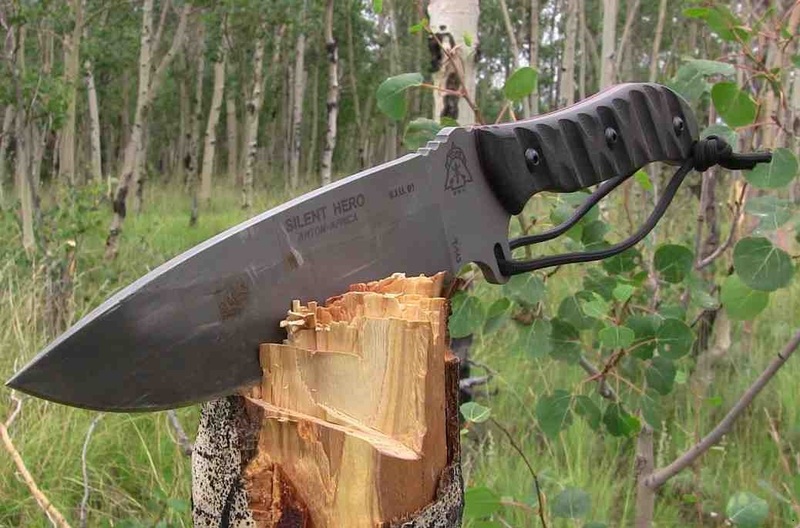 The military or tactical knife is considered a suitable camping and survival knife, especially for wilderness areas where the environment and weather are harsher. Such knives are made of high grade metal, and may appear dull. Some models even have a knife sharpener within the sheath, so that the blade always comes out keen. 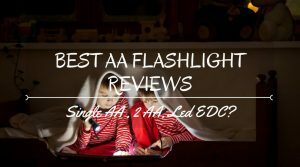 Although very useful for large scale, heavy field work, such camping and survival knives should never be used when children are around. They should also be kept clean regularly, so wash dirty knives after using them on meat or soil. They may not be considered camping and survival knives, but vintage knives can still prove to be of some use during camping. Although they are functional, these knives are not used in field work, in order to keep the knife’s condition and value. Since vintage and collector’s knives are much prized, they have a deliberately dulled edge, and are sometimes suitable only for display. Some vintage and commemorative knives will usually contain impressions on the blade, sheath, or handle, and can prove to be a good conversation piece while happy campers are seated around the camp fire. Knives are indeed good for camping and survival – and what better way to survive the evening than with a conversation over the history and intricacies of a vintage camping and survival knife? When purchasing camping and survival knives, think of what you intend to use them for before you splurge. Some knives are made of better quality metal than other. Yet others have a special ergonomic handle, or may be fashioned especially for left-handed users. Most knives can be very expensive, but are worth their investment in the long run – and can ensure that your camping trip will be one that you will enjoy and live to remember.